eff is charged with a unique and potent combination of passion, business savvy, technical prowess, and creativity. He is equally comfortable at the keyboard, the drawing board, or the boardroom. For over 25 years he has excelled as corporate officer, lead architect, coder, and debugger in the trenches. He is the go-to guy for wrangling the toughest bugs, yet he is a true leader and visionary consulting as CTO and Enterprise Architect. Our clients have praised his “wonderful ability to see the big picture and mitigate risk” and his “great communication skills that allow you to easily access and understand his knowledge.” This is the driving force behind the successful, long-term relationships Starlit has established with our clients. Jeff earned a Computer Science degree from Dartmouth College. 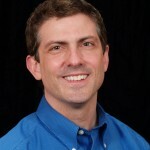 Before starting Starlit Software, Jeff was the CTO at Animated Images, founder of Symphony Software and a senior software engineer at HP, Apollo Computer, and Analog Devices. Jeff is a vital member of the local technology scene. He served for many years on the Board of TechMaine, an organization dedicated to improving the ecosystem for technologists in Maine. Jeff serves as a member of the Advisory Board for the Computer Science Department at the University of Southern Maine. He is an active contributor to many area technology groups, and for 12 years he was a manager and financial sponsor of the Maine Java Users Group. He is a regular guest lecturer in university project management courses and training courses for Java and enterprise architecture. ane brings to the table a rich background of management consulting and software engineering. She has consulted in a wide array of industries, including energy management, education, tax management, defense, apparel, pet products, steel, and more. Jane is meticulous and detail-oriented, with a keen intuition and listening skills that allow her to quickly assess the client’s needs and understand the team dynamics. 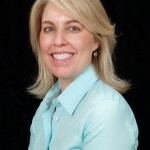 Jane’s core competencies include research, strategic planning, and business development. Her incisive and perceptive thinking and ability to synthesize information make her an invaluable resource for software evaluation and selection. She is often called upon to complete a full strategic review and competitive analysis to drive project recommendations. Her strong technical leadership background is instrumental in our ability provide our clients with only top-notch talent. Jane graduated from Dartmouth College with a B.A. in Computer Science. She started her technology career as a consultant with Andersen Consulting. She was a Windows development guru at Wang Laboratories before co-founding Symphony Software. She was instrumental in building the Boston-area client base for Symphony before deciding to relocate to her native Maine. Jane co-founded Starlit Software in 2001 to bring leading-edge software development to Maine.